Hello Friends! I'm so excited about another round of dollar deals for the month of December! I have picked up so many great deals the past month! My dollar deal is one of my favorites! 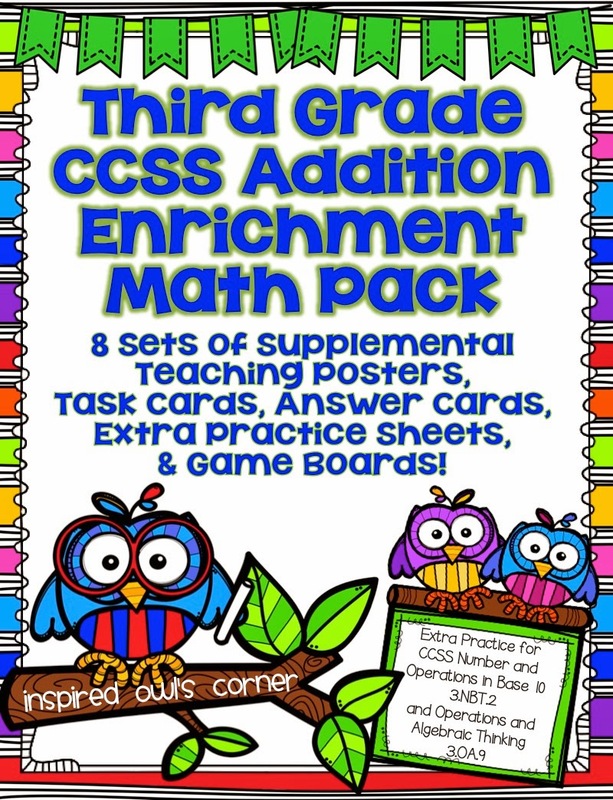 It's my Addition Enrichment Math Pack. 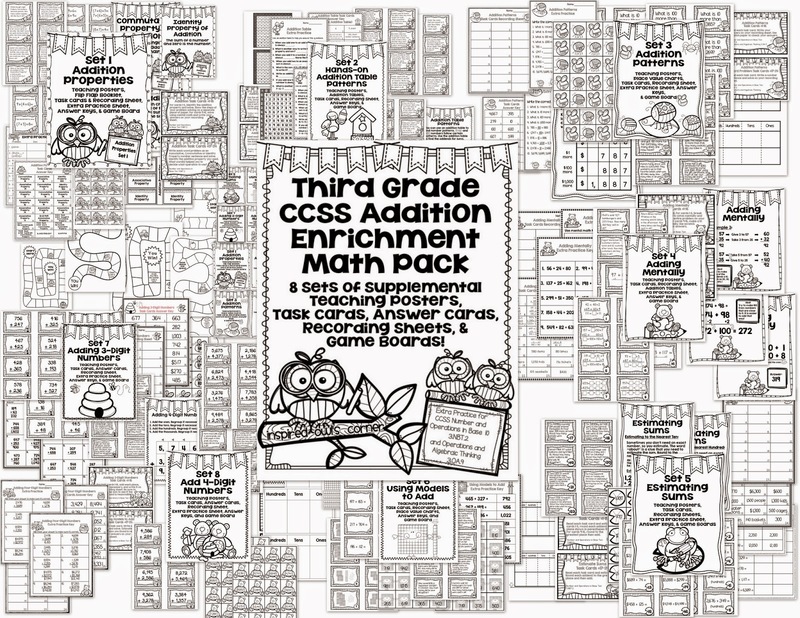 I created it for my third grade class, but your high second graders could use it, and it would be a great review this time of year for third or fourth grade. I am finding lately that I need to have lots of activities prepped and ready to go for students after they finish their independent classwork. This pack is perfect for that! 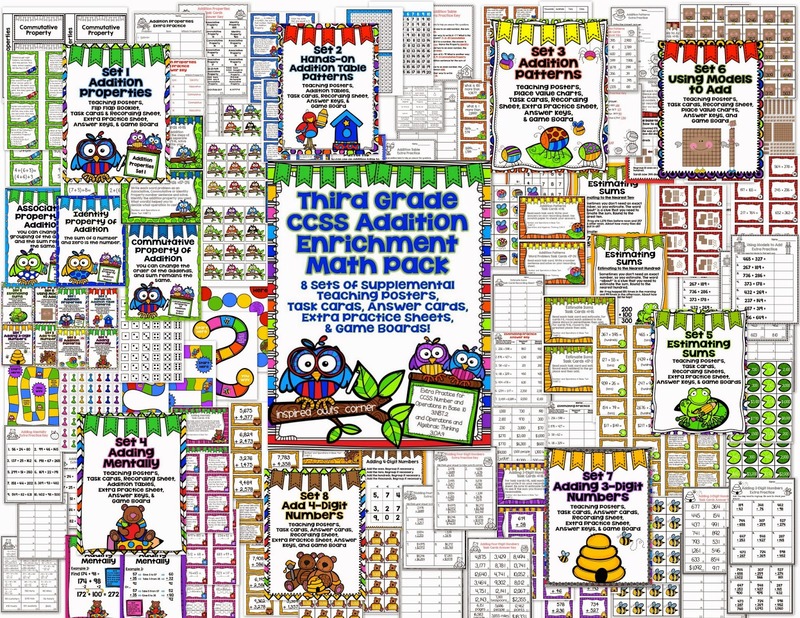 My plan was to make a set like this to supplement each chapter of my math book. Maybe that will have to be a summer project! Things have been so busy! Click on any of the pictures to see it on TpT! 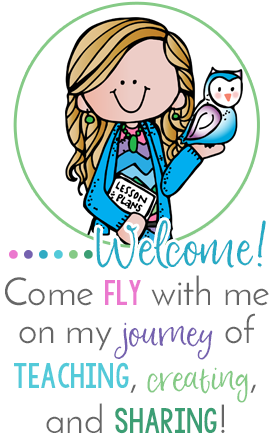 Take a peek at what's included! I have color and printer friendly copies for you! 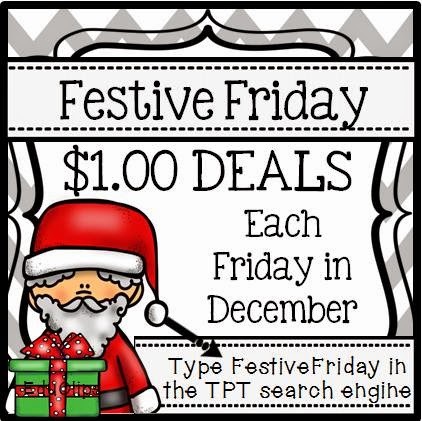 As always, type FestiveFriday (no space) in the TpT search engine. Sometimes TpT has some hiccups and the search engine doesn't work properly for me, especially when I'm on my phone, but give it a few tries and it should work! And I have a Freebie for you too! 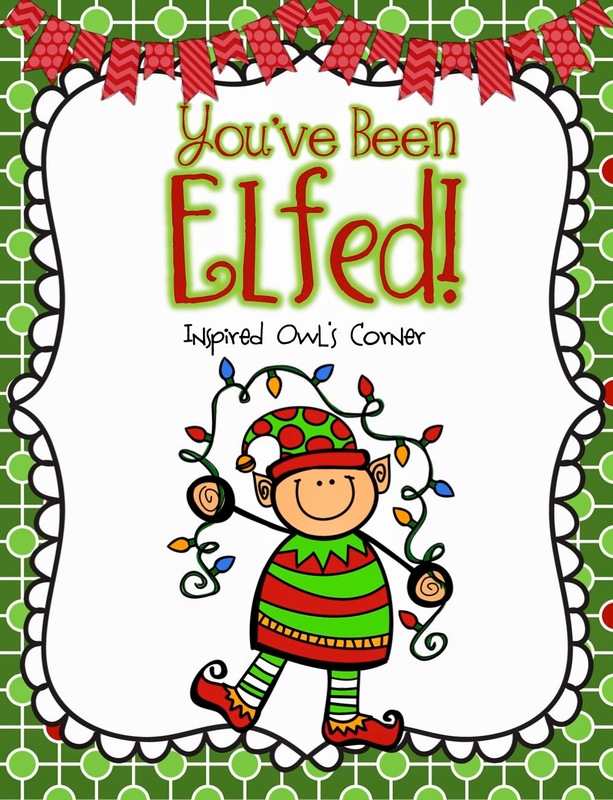 For the past few years around Christmastime, I have started "You've Been Elfed" at my school. 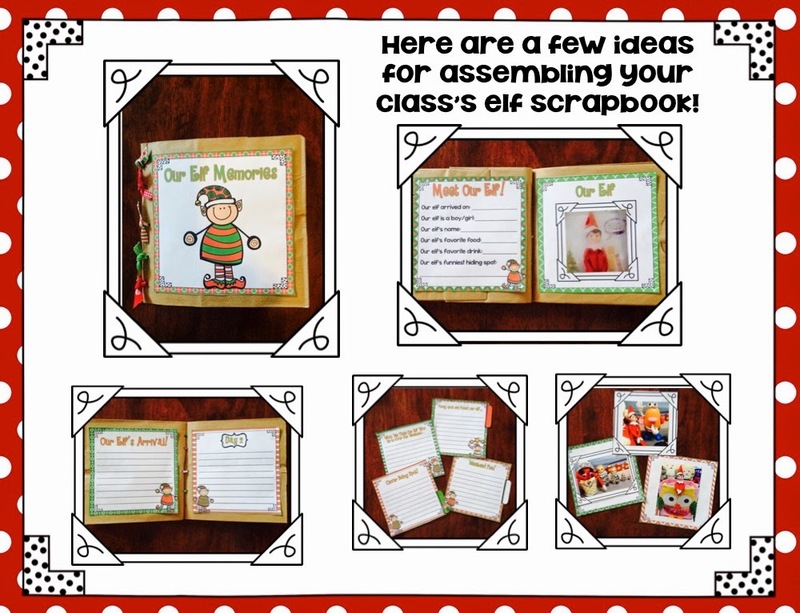 I start off the fun by "elfing" my class. I have someone leave a bucket of treats, usually candy, at my door with a note and several posters. The directions say to hang the poster in your window and send the bucket with more treats to another classroom. The kids love it, and it adds some fun to the day. This year, our class elf Jingle Elfed us! 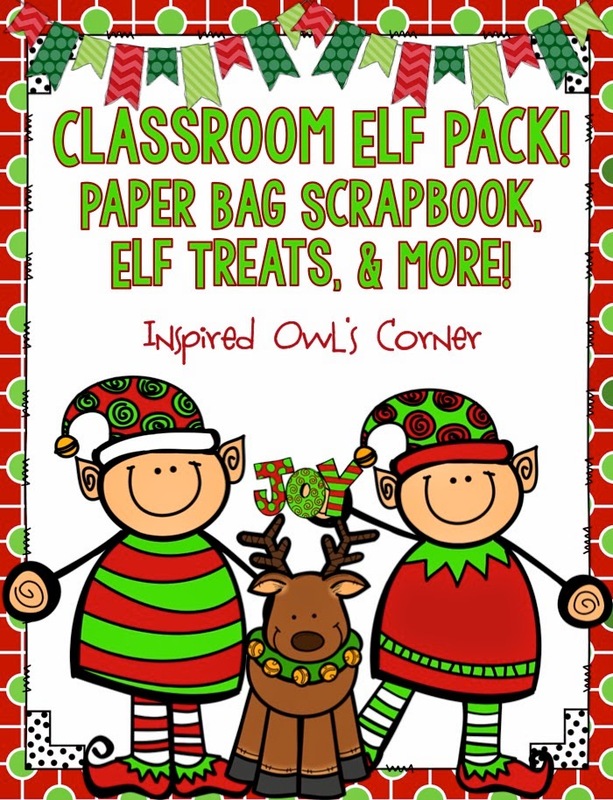 In my freebie, I have included directions, posters, and a sheet for teachers to write their name after they've been "elfed". I suggest sending out an email and asking teachers ahead of time if they are interested in participating because there have been some years at my old school where teachers have kept the entire bucket and not passed it on. If they are prepared, the fun keeps going and you don't run into any problems like that. I also print several of the posters so teachers don't have to worry about printing them. I have included color copies, and more printer friendly versions too. Our elf Jingle is going to be "elfing" my class today! Click on the picture below to see the freebie file. 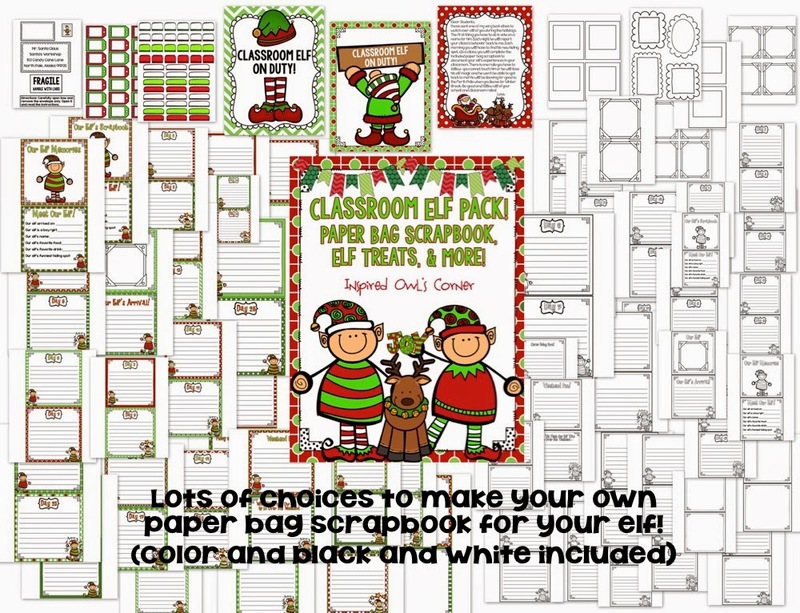 The freebie is part of my Classroom Elf Pack below. You can click on any of the pictures to see them. I hope this adds some holiday fun to your day! It's a New Year Sale! 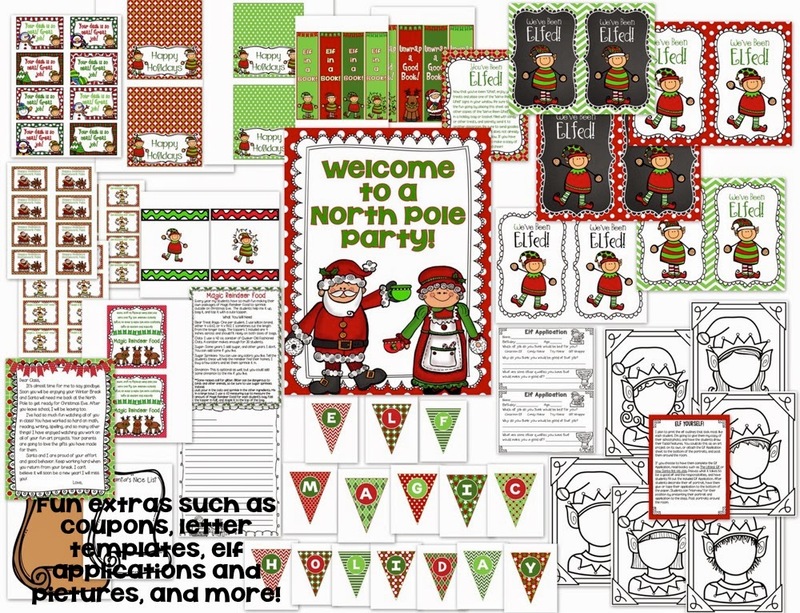 FREEBIE Holiday Thank You Notes!